Awareness Needs to be raised at Pepsi Headquarters about how important it is to the consumers that they BRING BACK CRYSTAL PEPSI (The Clear Cola). I have personally talked on the phone with Pepsi Cola representatives and they have told me on several occasions, they don't have the time, energy or money to spend on Bringing Back a discontinued product because there is not enough proof in numbers in consumer interest to green light the project. If everyone in the L.A. BEAST NATION donated $.50-$1.00, together as ONE, we can raise the $20,000. 1. We can use the money raised to make #BringBackCrystalPEPSI billboards in all major US cities and in other countries as well. 2.We can also use the money to fund FAN Meetups and get the news stations involved. 3. Any suggestions from you!!! HERE. Pepsi is a GIANT corporation, but when masses of people from all around the world come together with the same common goal, these GIANT corporations CAN and WILL be Forced to listen!! In just 1 day, PEPSI'S Facebook, Twitter and Instagram have all started to be taken over by this movement and they are beginning to feel the wrath of angry consumers. These posts will continue 24/7, 7 days a week, 365 throughout the entire world until this issue is acknowledged and taken care of. Crystal Pepsi is a CLEAR soda which was introduced by Pepsi back in 1992 and after its launch it started to take off and was a huge hit with consumers!! Unfortunately this explosion and success was short lived due to a poor market and in 1993, Crystal Pepsi was discontinued and pulled from all store shelves for the rest of eternity. 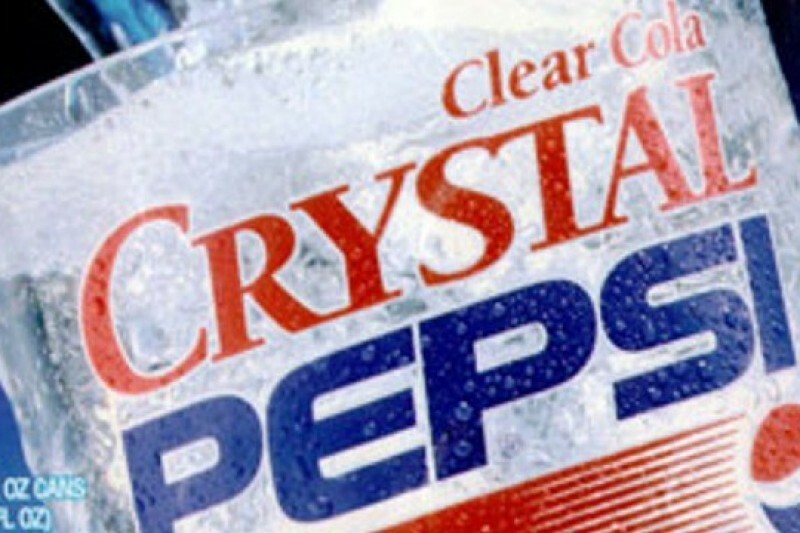 Ever since I purchased, drank and relived my childhood by consuming a (not so clear) 20 year old bottle of expired CRYSTAL PEPSI, (that I bought on EBAY for 87 dollars) it has been my focus (as well as 10's of thousands of others) to get Pepsi to Bring Back this wonderful soft drink from our youth. I don't know what else to do in order to get Pepsi to unclog their ears, and I will even travel to Pepsi Headquarters in Purchase, NY personally and let them know THAT THE CONSUMERS HAVE SPOKEN, THAT THEY NEED TO LISTEN AND THAT THE TIME TO TAKE ACTION IS NOW!!!! The pepsi customer service line is 1-800-433-2652 EVERYONE CALL!!! WE WANT CRYSTAL PEPSI!!! My name is Kevin Strahle and I am from Los Angeles California. I am a professional competitive eater and YouTube personality and all 1 million subscribers in the L.A. 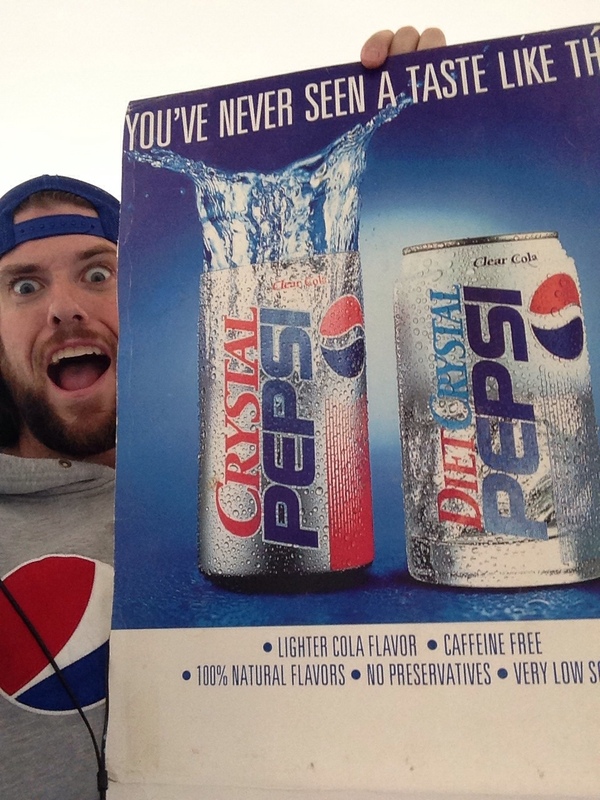 Beast nation are raising funds to help get Pepsi Cola's attention that that need to Bring Back Crystal PEPSI! The money raised will specifically be used for 12-15 junior sized billboards at gas stations and 7-11's promoting the Crystal Pepsi Movement as well as for fan meetups. : using the $1500 already raised and $1500 from my own personal donation. Any further questions please feel free to leave me a message!! I have been getting email notifications whenever someone has donated recently. I can't say thank you enough. The money raised has gone to and will continue to be put to good use to get Pepsi to Bring Back Crystal Pepsi Promptly. I'll fight to the very end until every last person world wide who has participated in this movement has a Fresh Crystal Pepsi in their hands!!!! Thank you from the bottom of my heart to each and everyone of the members of The L.A. Beast Nation for your generous donations. The Ebay Painting is already being bid for 40k, that's a lot of money. Can you provide proof that you used this money to help bring back Crystal Pepsi? So now that Pepsi brought back Crystal Pepsi all on their own a year later, what fun stuff did you buy yourself with the $2,684 that people gave you? (sorry hit enter I think) anyway and I'll donate anywhere from $150-$200 towards the movement along with another $100 the next month. What you think? A worthy cause my friend. Also you are for sure my favorite youtuber never stop making videos. They literally my favorite ever.